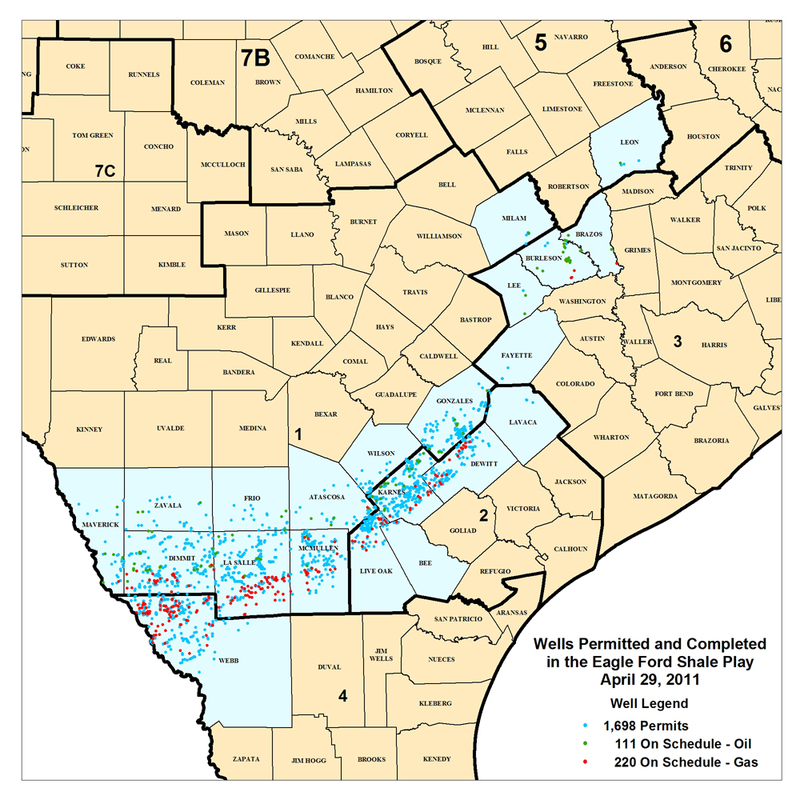 Latest Eagle Ford Map – You Got a Dot? A friend sent me this update of the Eagle Ford Shale map and it shows now that Bee and Live Oak counties are completely shaded. 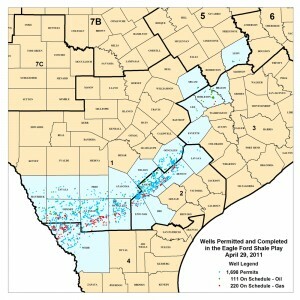 Does this mean that the shale may be in the whole area of Bee county? I live in south Bee county and own a farm between Skidmore and Tynan, Texas. I would like to know if this may be true. 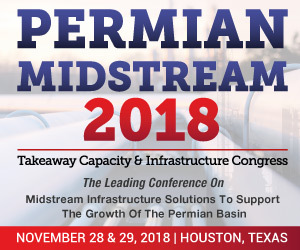 And also I talked to a person from Orange Grove, Texas about three weeks ago and he said a friend of his had a well drilled around Orange Grove,and he said it hit and was a big producer. And it was around 21,000 or 22,000 ft. deep. Is that true? Just don’t know who drilled it. 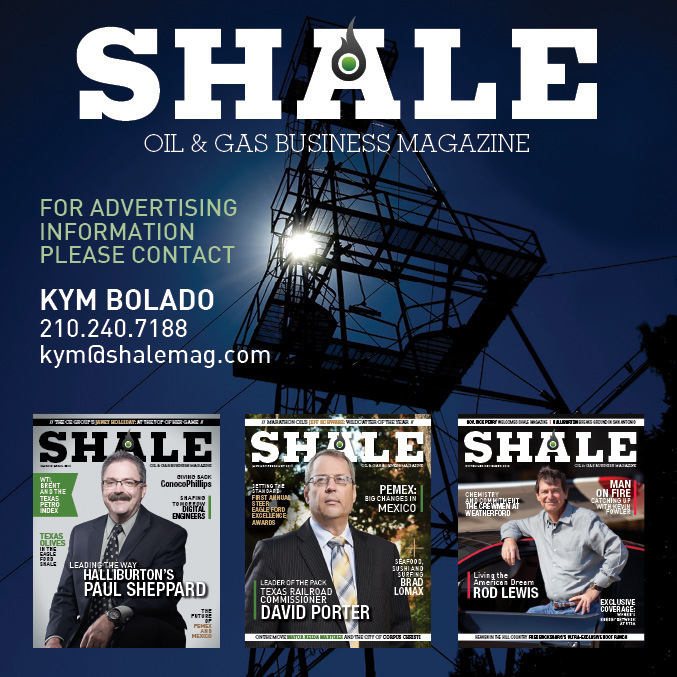 He said it wasn’t in the Eagle Ford Shale, it was in a sand below the Eagle Ford Shale. Could you reply and let me know if this is correct about the counties being completely shaded and about this well in Orange Grove. Just curios.Thanks. Ernie Stautzenberger.